Some people look horrified when I tell them how much I hate cricket. It is as boring as watching paint peeling off the wall. The cricket invades many Australian households in the days following Boxing Day. It is the sound of summer, of endless holidays and heat. For me, it is the excuse to dig out my boxed set of Blackbooks, the English TV series starring those three outlandish characters, Bernard, Manny and Fran. I identify closely with them all, and often greet people with quotes from one episode or another. Only my friend Ally P totally understands this obsession. In one episode, Manny, referring to himself, says “He’ll be watching the test match in bed eating tiramisu with a long spoon.” I’ll just have the Tiramisu thankyou,and the rest of you can keep the test match, the Ashes and all of those other bits of crickety tedium. This is a recipe adapted from the SBS recipe site. I have added more soaking liquid as the original used insufficient for the volume of bsicuits and marscapone. The recipe can be halved. I usually make it for Christmas Eve,then get to eat leftovers, with a very long spoon, on Boxing Day. As the dish is a “pick me up”, it relies on the strength of the coffee and the alcohol. good quality dark chocolate, grated, or sifted Dutch Cocoa. Beat the egg yolks and the sugar for at least 15 minutes, or until thick and white. Add the mascarpone and beat until just combined but smooth. Beat the eggwhites until thick and stiff, then gently fold into the mascarpone mixture. 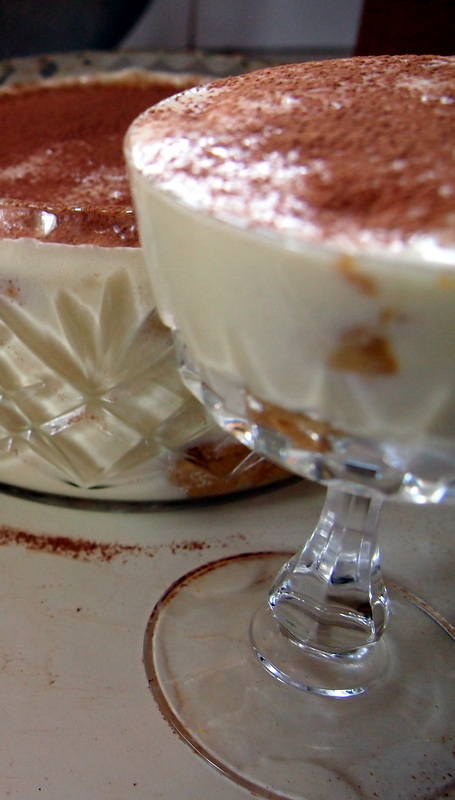 Combine the coffee and liqueur in a bowl. Quickly dip the biscuits into hot liquid, and lay them in the chosen serving dish or dishes. Add a layer of the mascarpone mixture, then more soaked biscuits, and so on until all is used. Refrigerate for at least 2–3 hours, or overnight. Before serving, top with a generous dusting or Dutch cocoa and/or grated dark chocolate. 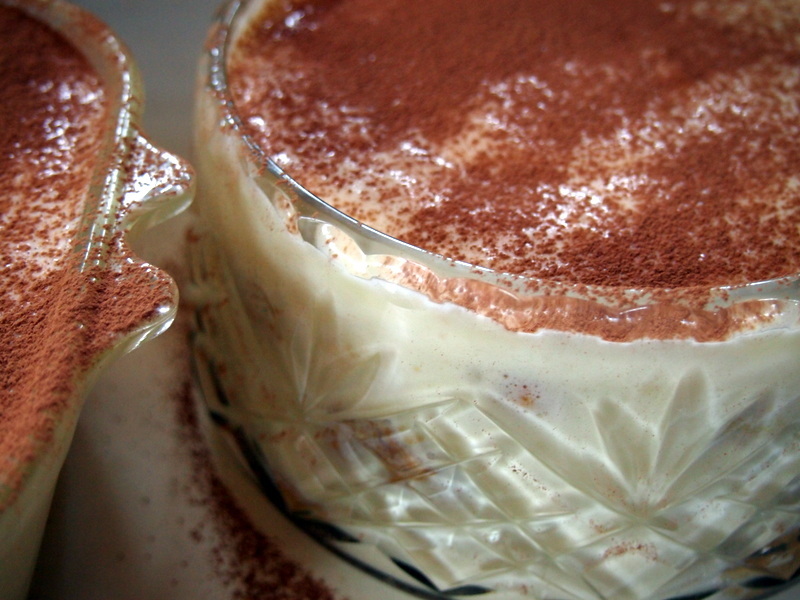 The success of a good Tiramisu depends on the strength of the coffee and alcohol and the generous soaking of the biscuits. The dessert keeps well, covered for a few days. And save some to eat with a long spoon while hiding from the cricket. Love it! The recipe that is, and Black Books too! Hate the cricket! Yawn. Haha. We have similar tastes!